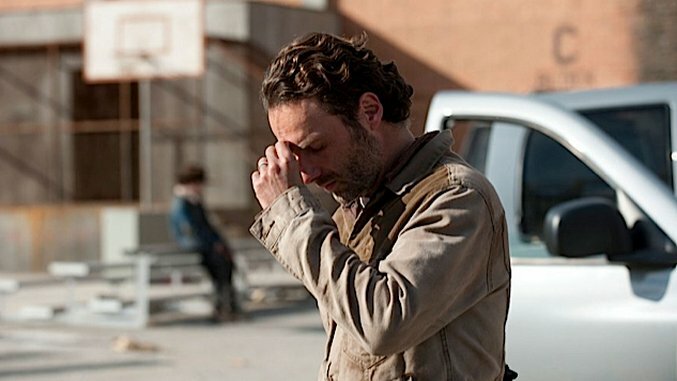 Well, the verdict is in on last night’s Walking Dead finale, and the verdict is not good. In fact, if you had to sum up the consensus in one word, it would be: Hatred. Sometimes a feeling of general disdain produces some really fun vitriol, so we at Paste thought it might be fun to do a round-up of the harshest critiques. This was one of the most hated TV episodes in modern memory, and the scorn that followed may be our only silver lining. So let’s take a sampling from around the web—click the links for the full review. Buckle up, the rage ride is about to begin. “We should have seen it after Glenn, Denise’s out-of-place death two weeks ago, or even that ridiculous Daryl fake-out last week, but The Walking Dead is fundamentally incapable of killing off lead characters anymore, or playing by any kind of reasonable storytelling rules. Sure, someone will be dead when we pick up Season 7 in October, and I imagine producers have deliberately mapped out several possibilities, depending on contract negotiations, but why such a stain on the series, to deny its viewers that catharsis after a half-season of buildup?...I wouldn’t espouse so unmanageable a threat as to say I’m done with The Walking Dead forever. They do deserve every ounce of that backlash, however, as this was a terrible, poorly-conceived mistreatment of a loyal audience, perhaps not-unironically taking a bat to viewers themselves. “The trick to good art is staying ahead of your audience, and the writers and directors of this show have been way the hell behind us for a while now. I can’t emphasize this enough—meeting Negan was a given going into tonight. Someone getting badly hurt or dying from the core group was a given. And somehow, they thought it would work to lead us to that point and no further. On some level it’s stupid to have strong emotions like these about a show, and I get that, but I still think that in the little bubble of TV drama, this was an inexcusable and obvious misstep.